Home > Newsroom > News Releases > ‘Tis the Season for Musical Holiday Cheer! ‘Tis the Season for Musical Holiday Cheer! 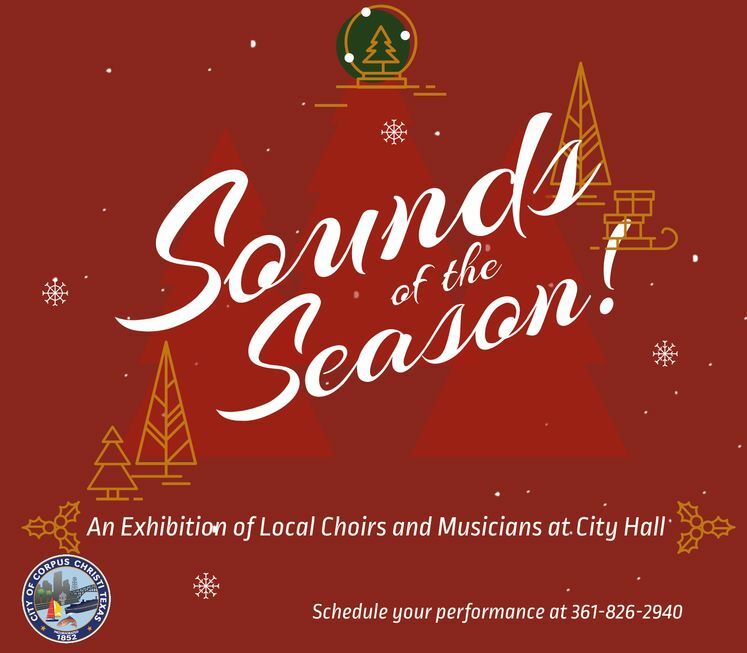 CORPUS CHRISTI, TX – A joyful holiday tradition continues this year as local choirs and musical groups fill City Hall with the sounds of the season. Throughout December, City employees and the public will be treated to a variety of holiday music featuring Christmas, Hanukkah and Kwanzaa. Local choirs and musicians will perform at City Hall’s atrium—a unique acoustic space. Schedule your performance by calling (361) 826-2940. Reservations are taken on a first-come basis. The public will be invited to enjoy the musical performances once the schedules are finalized.